We interrupt your regularly scheduled blog to present an important message from the sponsor (i.e., a press release from Michael's day job). Now that we're well into the 21st century, many people — mothers and others — yearn for the reliability and sound quality of telephones made decades ago. 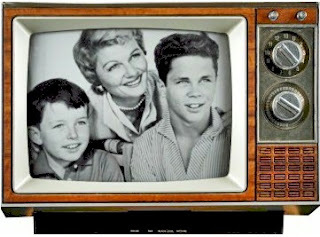 Fortunately, now there’s a source of brand-new telephones that are as good as, or even better than, the phones that Americans used back in the era of “Leave It To Beaver” in the 1950s and 60s. 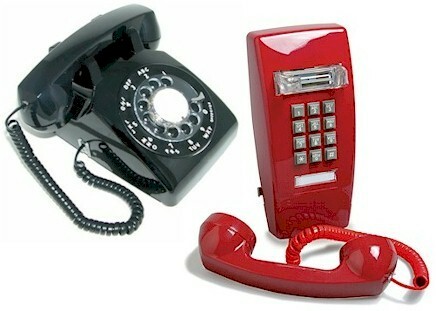 FrillFreePhones.com has phones designed to work reliably for many years, with sturdy housings, long-life components, corrosion-resistant connections, strong steel bases, and bells that actually ring. They have no batteries or AC power cords, no antennas or transformers, and can keep working even during a power failure. Telephone styles include desk and wall models, Trimline and Princess phones, multi-line phones for home and business, and even reproductions of payphones, country wall phones and “candlestick” models. Shipping is free to all 50 states, and warranties range from one year to seven years. The company's toll-free number is 1.888.225.3999. FrillFreePhones.com is operated by AbleComm, Inc. — a phone equipment dealer in business since 1977. The company has supplied phones for fire departments, military bases, schools, law enforcement agencies, hospitals, airports, a submarine, major corporations and universities, the Empire State Building, the U.S. Mint, the White House and plenty of people. They even provide props for movies and TV shows, including "Mad Men." Marcus says the growing appeal of ancient technology is “half sentimentality and half insecurity. People are concerned because of the tsunami in Japan, by Hurricane Katrina and by tornadoes. They feel comfortable knowing that the old-fashioned phone that gets its power from the phone company will keep working even when the lights go out, and it sounds better than the latest VoIP and wireless technology." "Cellphones are convenient but they are fragile and often sound terrible," said Marcus. About Frill Free Phones: Frill Free Phones is part of AbleComm, Inc. – "the Telecom Department Store." The company is based in Milford, CT and operates over a dozen websites and has been in business for over 30 years. The company supplies a wide range of phone equipment to customers ranging from homeowners and entrepreneurs to major corporations, government agencies and the military.